Here is Jake and Dad, Ben, long time Dominion players discovering Thunderstone Dragonspire the fantasy themed deck building card game. We have Dragonspire open and available for play. 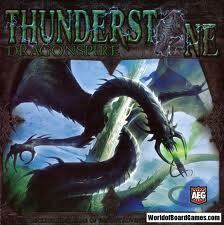 You can find this great game and other Thunderstone game expansions available in our store.